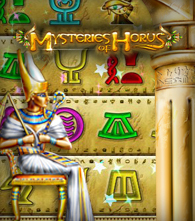 Appease the gods of ancient Egypt in this clever brain-bender. Grab colorful symbols and place them in the rolling rows. Smart play will earn you gems to buy bonus items and gifts to keep your god smiling, but only puzzlers with a fast eye and quick clicks will be rewarded with radiant amulets!